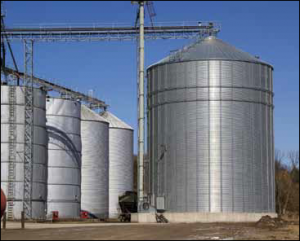 Grain Bin Fatalities: Is Enough Being Done to Prevent Them? In 2010, three young workers at the Haasbach LLC grain storage complex in Mount Carroll, Illinois were sent into a grain bin to “walk down” the corn. The practice is used to help clear clogged drains in grain bins by walking on and using shovels to loosen it. One of the workers was Wyatt Whitebread, only 14 years old, too young to legally work at the job. Wyatt had been at the job for 2 weeks. The other two workers were Will Piper, aged 20 who had been at the job 1 week and Alex Pacas, 19, who had started the job 2 days earlier. After working for two hours in the bin, their supervisor, Matt Schaffner, without warning, opened a second drain in the bottom of the bin. Wyatt, the youngest worker, was standing near the edge of the cone of draining corn. His coworker, Will Piper, the only one to survive the accident said, “It created a quicksand effect, and Wyatt ended up getting caught up in it and started screaming for help. Me and Alex went in after him, and we each grabbed one side of him under his armpits and started dragging him out and got pretty close to the edge of the quicksand, and then we started sinking in with him.” In the end, only Will Piper survived. It took trained rescue teams (TRTs) and helpers, altogether about 200 people using special rescue equipment and 30 semi trucks to carry the corn away, to get the three out of the bin. About six months after the incident and after an investigation, OSHA issued citations for 25 safety violations, twelve of them willful, to Hassbach with fines totaling $555,000. Ultimately, though, OSHA agreed to a settlement with Hassbach which reduced the fines over half. This case is not unusual. There have been 179 grain entrapment deaths since 1984. A total of $9 million in fines were assessed for all these cases, but were cut nearly 60 percent after the violating companies protested and settlements were agreed upon. In cases where there are willful violations, such as the Mount Carroll case, OSHA can recommend criminal charges be filed by the federal or state courts. However, rarely have criminal charges been filed in cases of fatalities due to grain entrapment. Families can file civil lawsuits against the companies, but because of the relatively light consequences in these cases, companies continue to violate safety standards and continue to place workers in jeopardy by requiring them to “walk down” grain and by not following the required standards for workers entering grain bins. However, as long as the fines continue to be reduced in 80 percent of the cases by 40 to 97 percent, and no criminal charges are filed, the unsafe practices, and resulting deaths will probably continue. To read more about the issue, visit: http://www.npr.org/2013/03/26/174828849/fines-slashed-in-grain-bin-entrapment-deaths. OSHA has a fact sheet on Worker Entry into Grain Storage Bins online at http://www.osha.gov/Publications/grainstorageFACTSHEET.pdf.